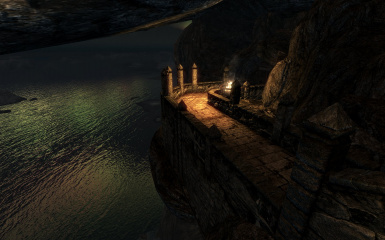 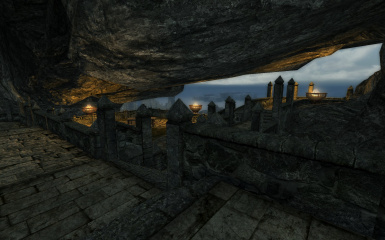 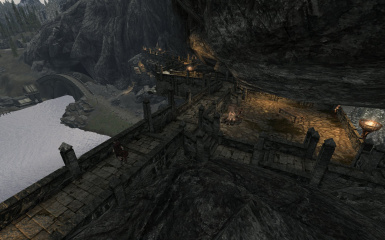 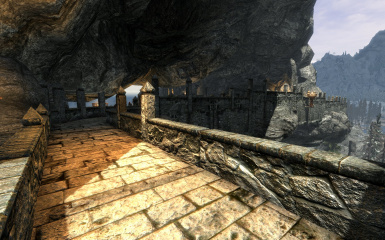 An elevated set of stairs and walkways that has been added to the underside of the large rock arch that the city of Solitude rests upon. 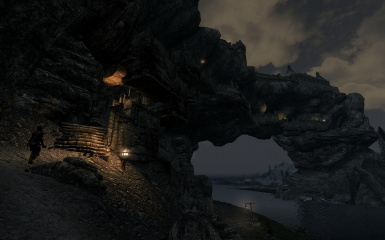 This mod adds a set of elevated stairs and walkways to the underside of the large rock arch that the city of Solitude rests upon. 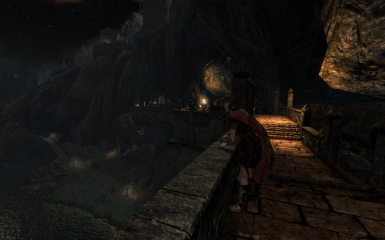 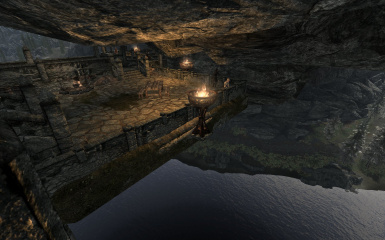 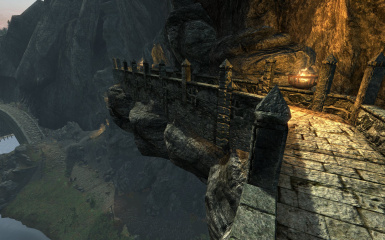 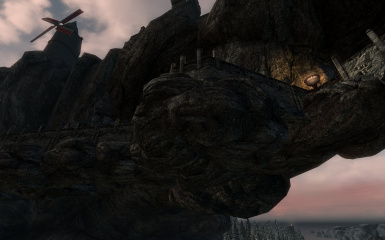 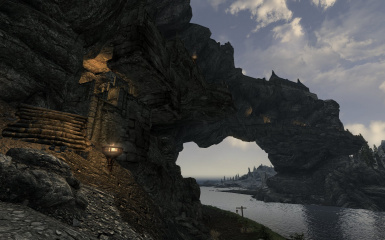 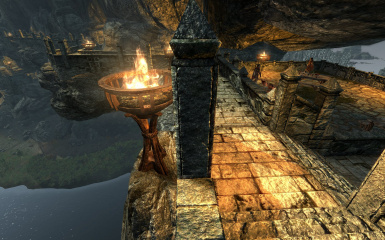 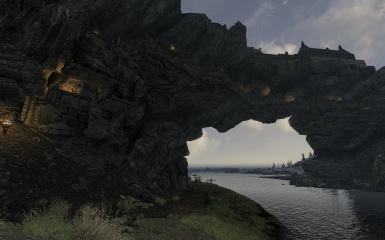 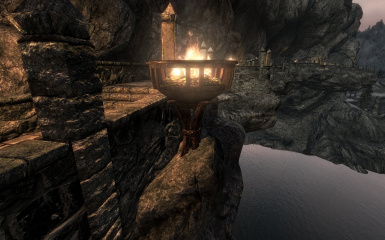 It connects the western side of the arch where the docks and lower secondary city entrance is found with the main city via an entrance near the Blue Palace, as well as continuing along the arch across the Karth River to the eastern side of the river where Hjaalmarch begins. 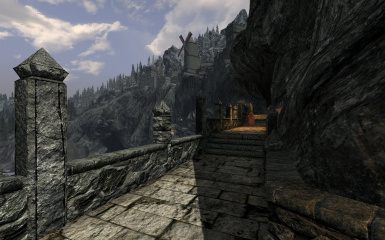 The Skyway itself has a relatively strong guard presence with multiple patrols as well as a central guard supply and viewing location because of this alternate entry point for the city of Solitude, so beware if you are of the evil or criminal persuasion. 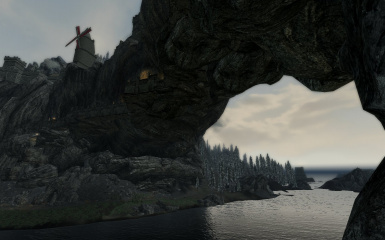 There is also an additional guard post area at the end of the Skyway on the Hjaalmarch side as that is a much more wild and untamed area of the land with hostile critters and NPCs that must be guarded against. 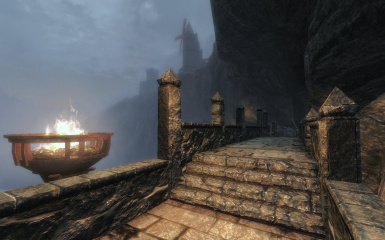 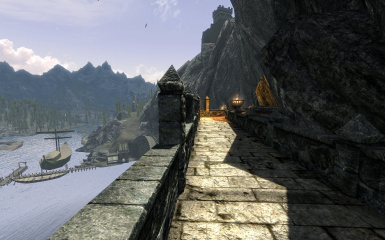 The idea for this mod came from a discussion in the comments of another mod of mine - Windhelm Docks Pathways In those comments, several players remarked that a similar type of mod for the Solitude area would solve an issue with it being difficult/impossible for players that don't use fast travel to get across the river without swimming in the frigid waters as well as being able to much more easily access the player home Windstad Manor from the Hearthfires DLC that is located across the northern marches from the eastern end of the Solitude arch. 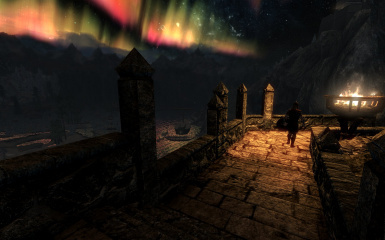 I thought about the best way to accomplish these goals and this mod is what I eventually came up with. 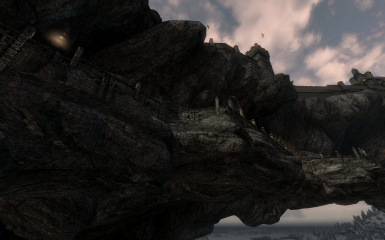 The Skyway is considered a "main road" by NPCs so they can and will use it on a random basis as an alternate route if they have a travel package active and it targets a nearby destination that the Skyway offers a shorter path to. 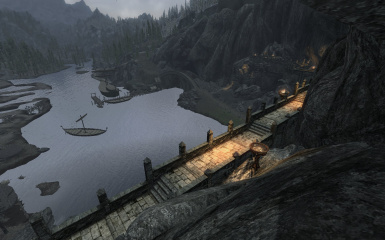 This goes for both standard game NPCs that live in Solitude and have business on the docks (or coming home from the docks back inside the city) as well as wandering or traveling NPCs added by other mods that start on one side of the water and are supposed to go to the other or that start on one side and are trying to get inside of the city. 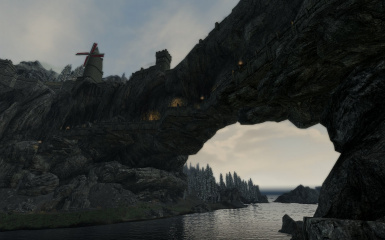 Be aware of this when using this mod as NPCs might not be found where you'd typically find them as they're taking this alternate route. 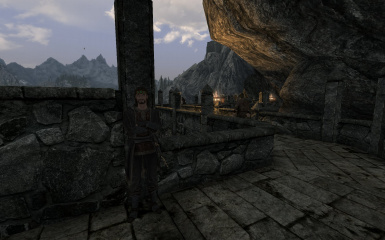 This is not a bug or a glitch but fully intended behavior as it gives the Skyway some random foot traffic and NPC activity at all hours of the day. 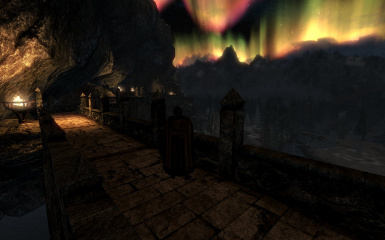 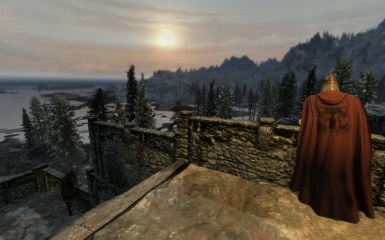 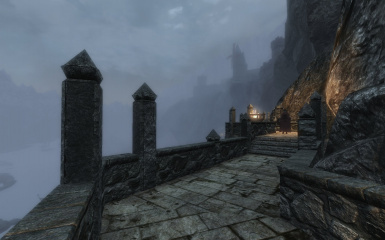 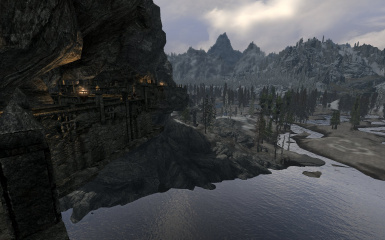 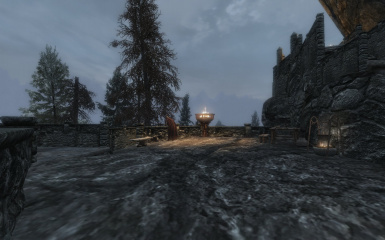 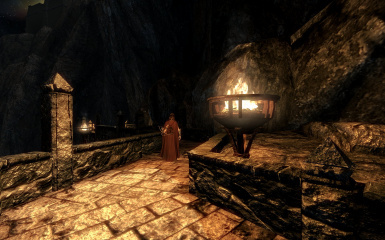 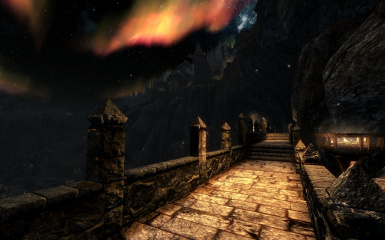 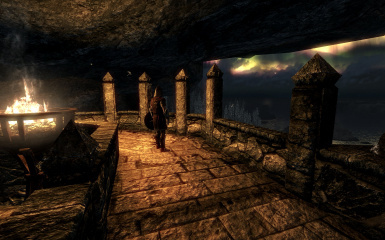 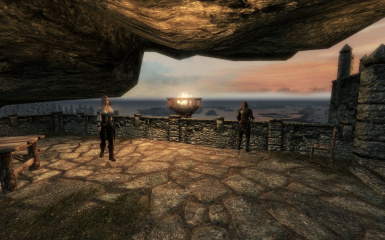 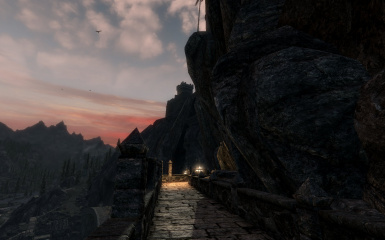 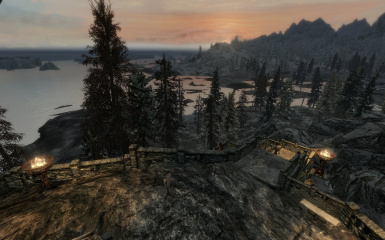 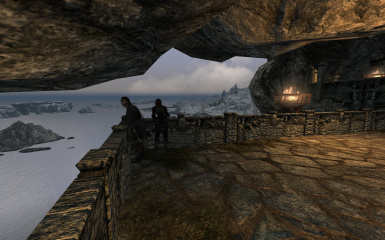 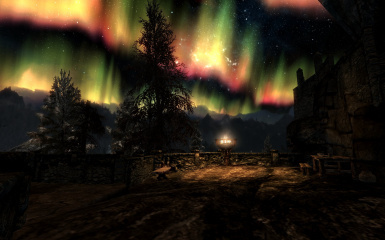 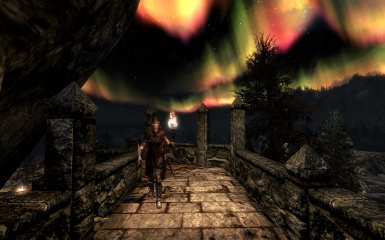 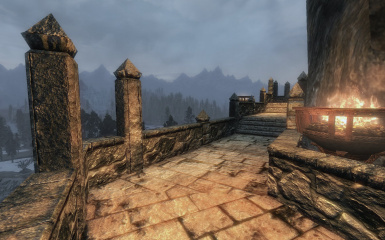 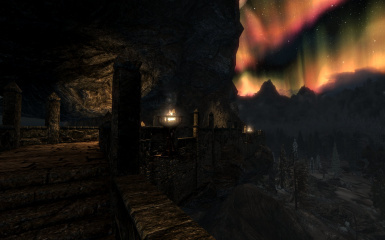 A complimentary mod for this one that allows companions and other NPCs to more easily navigate the route between Solitude and Windstad Manor from the Hearthfires DLC has been created at player request. 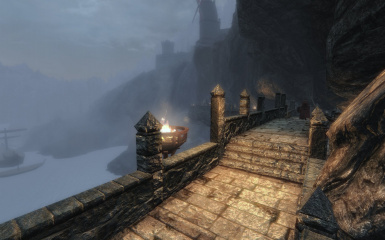 The two mods are fully compatible and are intended to be used together if you so choose but this is still optional - neither mod is required for the other to function but they do work well together. 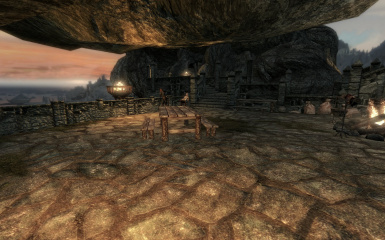 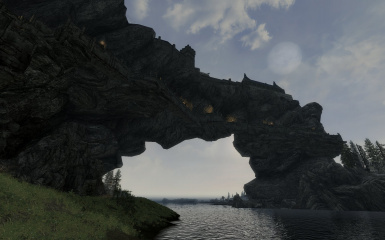 Load order should only matter if you use other mods that edit the underside of the Solitude arch and a small portion of the northern side of the East Empire Company warehouse arch bridge that holds the road heading north from the docks underneath Solitude. 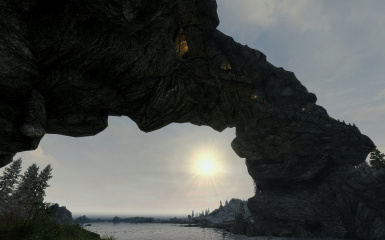 Any such mods have a high chance to have static placement issues or conflicting navmesh problems or both. 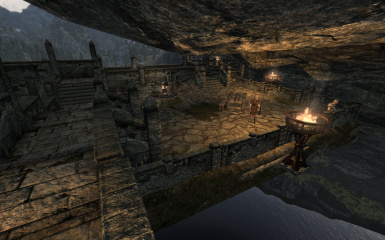 Mods such as city overhauls that edit the interior of the city of Solitude will probably work as long as they don't alter to any great degree the inner courtyard of the Blue Palace itself where the new entrance/exit from the city has been placed. 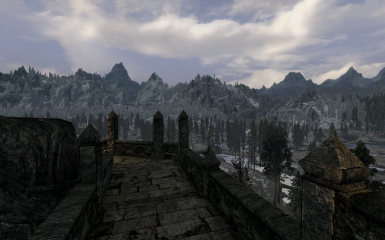 I've been getting a lot of comments from users concerning mod conflicts and in turn requests for patches to solve these conflicts. 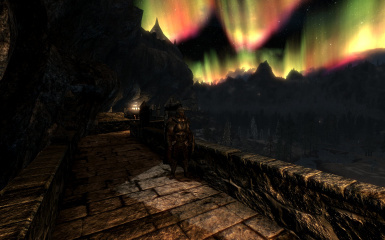 Seemed like a good idea to consolidate all the answers I've been leaving in the comment section into the main description. 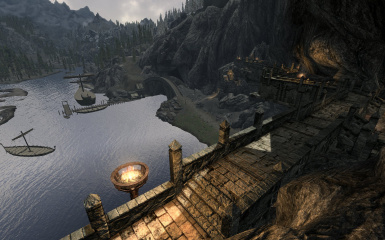 What follows is what is known in terms of mods that conflict and those that do not or any other relevant information concerning possible future patches based on user feedback and reports. 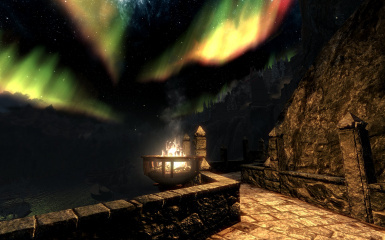 For those mods that conflict, any possible patch information is provided if I know of it. 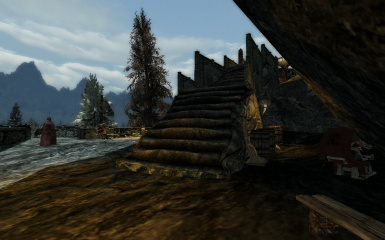 If you are aware of a mod that has a conflict with this one, post in the comments section and I will take a look at the issue and update this section as needed. 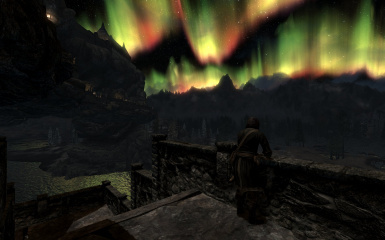 If you know of a mod that is placed in or edits the same or nearby areas of the game world that is compatible, post that as well so I can pass along the information to other users.